Change things up with these side-trips from Noosa: Maleny (Maleny Botanic Gardens & Bird World & McCarthy's Lookout), Kings Beach (in Caloundra) and Australia Zoo (in Beerwah). 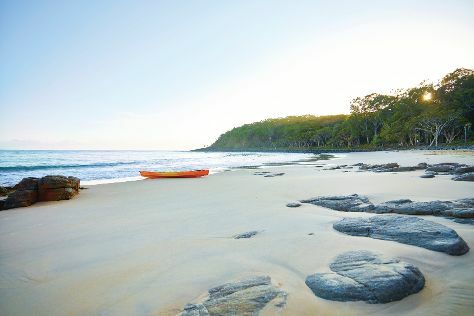 Spend the 19th (Thu) exploring nature at Noosa National Park. The adventure continues: kick back and relax at Noosa Main Beach, tour the pleasant surroundings at Mooloolaba Beach, make a splash at Sea Life Sunshine Coast, and take a stroll through Hastings Street. For more things to do, ratings, other places to visit, and tourist information, go to the Noosa sightseeing planner . Melbourne to Noosa is an approximately 6.5-hour combination of flight and bus. You can also do a combination of flight and train; or drive. Finish up your sightseeing early on the 23rd (Mon) so you can travel to Ingham. 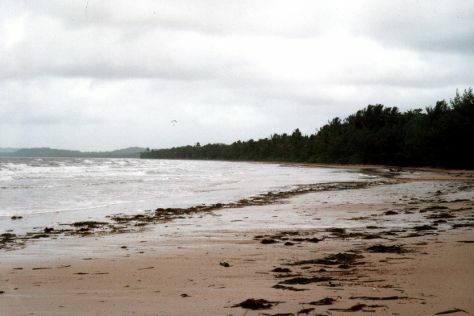 Ingham is a town and locality in the Shire of Hinchinbrook, North Queensland, Australia. Start off your visit on the 24th (Tue): explore the striking landscape of Broadwater National Park. On the 25th (Wed), you'll have a packed day of sightseeing: make a trip to Mercer Lane Mosaic, then look for all kinds of wild species at TYTO Wetlands, and then take in the dramatic scenery at Wallaman Falls. To see more things to do, ratings, other places to visit, and other tourist information, you can read our Ingham trip planner . Getting from Noosa to Ingham by car takes about 15 hours. Other options: fly. September in Ingham sees daily highs of 32°C and lows of 21°C at night. Finish up your sightseeing early on the 25th (Wed) so you can go by car to Mission Beach. On the 26th (Thu), cast your line with a fishing tour, browse the exhibits of Helen Wiltshire Gallery, and then enjoy the sand and surf at Mission Beach. Get ready for a full day of sightseeing on the next day: hike along Kennedy Walking Track and then take the plunge with a skydiving experience. To find reviews, other places to visit, maps, and more tourist information, you can read our Mission Beach trip itinerary planner . Drive from Ingham to Mission Beach in 1.5 hours. Finish up your sightseeing early on the 27th (Fri) so you can travel to Magnetic Island. Kick off your visit on the 28th (Sat): kick back and relax at Geoffrey Bay, look for all kinds of wild species at Nelly Bay to Arcadia Trail, and then step off the mainland to explore Magnetic Island Forts Walk. Get ready for a full day of sightseeing on the next day: explore the striking landscape of Magnetic Island National Park and then see what you can catch with a fishing tour. For other places to visit, traveler tips, maps, and tourist information, go to the Magnetic Island online tour itinerary planner . Traveling by combination of car and ferry from Mission Beach to Magnetic Island takes 3.5 hours. Alternatively, you can do a combination of bus and ferry; or do a combination of train and ferry. In September, plan for daily highs up to 32°C, and evening lows to 21°C. Wrap up your sightseeing on the 29th (Sun) to allow time to ride a ferry to Townsville. Spend the 1st (Tue) among aquatic life with a scuba or snorkeling tour. And it doesn't end there: kick back and relax at The Strand, don't miss a visit to Riverway, take in the pleasant sights at Castle Hill, and step off the mainland to explore Museum of Tropical Queensland. For ratings, maps, other places to visit, and tourist information, use the Townsville itinerary site . Townsville is just a stone's throw from Magnetic Island. Expect a daytime high around 32°C in September, and nighttime lows around 21°C. Finish up your sightseeing early on the 2nd (Wed) so you can travel back home.